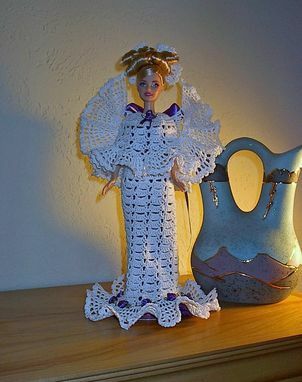 Barbie dolls are angels anyway, but this one has wings! 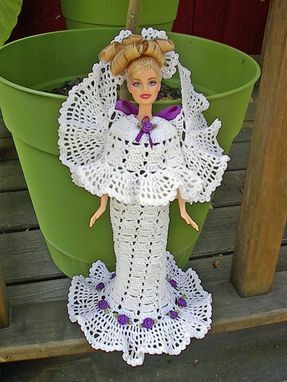 She is crocheted in size 10 thread. 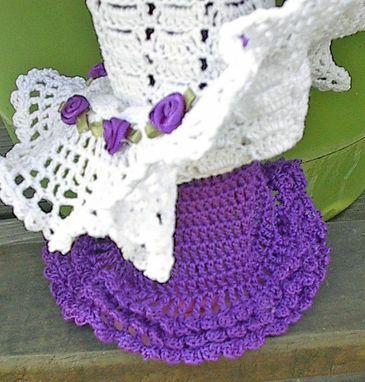 Her slip is done in royal purple with small ruffles at the bottom. The top gown is white trimmed in purple silk roses with a large purple ribbon bow tied at the back that streams down. 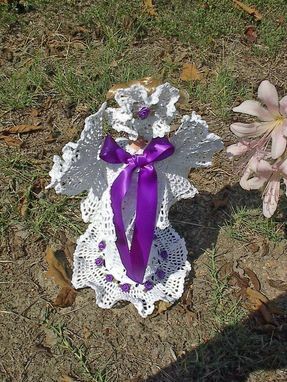 Her halo fits on the back of her head and is adorned with a purple silk rose. Her hair is done in ringlets across the top of her head. The wings are placed on her back and stand out. They are anchored with floral wire and stiffly starched to hold their shape. 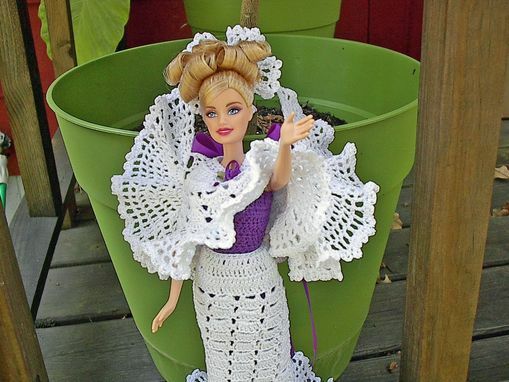 This Barbie is not a toy and nothing comes off. It is truely a decorative piece for all year long. She comes with the stand, which is pink, matching her slippers.